In 1999 the first research niche area (RNA) was submitted and approved by the National Research Foundation (NRF). This was the beginning of research in the Department: Hospitality and Tourism at the Vaal University of Technology (VUT) in Vanderbijlpark , South Africa , with three staff members participating in research. The research in the department grew in five years to include nine staff members, two visiting scientists, two postdoctoral fellowships, four DTech- and 22 MTech students in 2006. The research outputs for the period 2000-2005 in the department are 47 national and 51 international conference papers, 35 abstracts published as part of conference proceedings, 9 and 6 articles published in accredited and other journals respectively, 2 chapters in books, 5 staff members obtained Masters- and one PhD qualification. As a result of these research outputs, the Food and Nutrition Research Centre was formed in March 2005. The Centre further had partnerships with five international institutions, namely the University of Greenwich (UoG) in Chatham , United Kingdom ( UK ), University of Westminster (UoW) in London , UK , Institute of Home Economics (IHE) at the University of Delhi in India , the Aga-Khan Health Services in Mombassa , Kenya , and the University of Benin in Nigeria . The Centre also successfully negotiated research partnerships with the local governmental departments (Health, Welfare and Education) in the Vaal Triangle as well as with the Sharpeville, Eatonside and Orange Farms communities, as well as Joint Aid Management (JAM). • Train and build capacity to address poverty and its resulting consequences in Africa . • Deliver research of high quality that is relevant, challenging and stimulating critical thinking in order to increase accredited research outputs and create breakthroughs and competitiveness in the field of study nationally and international ly. Prof Wilna Oldewage-Theron was appointed as Director of ISL with effect 1 April 2006. Professor Mahgoub is an associate professor in food science currently teaching at the University of Botswana . His academic qualifications include B.Sc. (Agric. ), M.Sc. & Ph.D. (food science), an advanced training certificate (food and nutrition) from the United Nations University as well as certificates in applications of soy in meats, and in food safety. He also has professional memberships in the following societies: Institute of Food Technologists – IFT (USA), Institute of Food Science and Technology (UK), Society of Chemical Industry (UK), Sudanese Biochemical Society ( Sudan ), Sudanese Society of Food Science and Technology ( Sudan ). 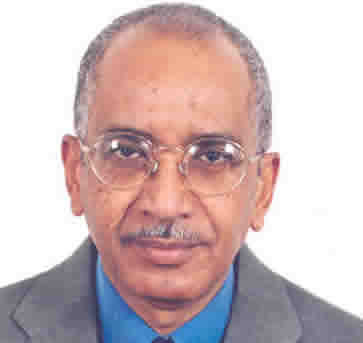 The employment record of Professor Mahgoub includes University of Botswana (1996 to-date), Iowa State University (1994-1996), University of Khartoum (1972-1994). His professional experience extends from university teaching (food and nutrition courses), research initiation, supervision and conducting, to consultancies. His service record includes service to the universities where he worked, professional service, and community service. In the area of research and publications he was able to carry out research in the different areas of food and nutrition particularly those related to developing countries. His publications profile consists of a chapter in a book, nineteen articles in refereed journals, one edited work, two technical reports, two consultancy reports, and twelve conference papers. His areas of research interest include: b iochemical, nutritional and processing aspects of cereals and legumes, food product development and evaluation, phytonutrients & functional foods, genetically-modified foods, food quality & safety, and infant and child nutrition. He was awarded four scholarly fellowships and awards including: Fulbright fellowship (USA, 1994-1996), International Food Policy Research Institute award ( USA , 1992), United Nations University fellowship (Japan, 1986-1987), and The British Council fellowship (United Kingdom, 1974-1976). He worked, and has experience, in a number of countries including Sudan , India , USA , and Botswana . As part of his academic activities he participated in 34 conferences, seminars and workshops related to his area of expertise.